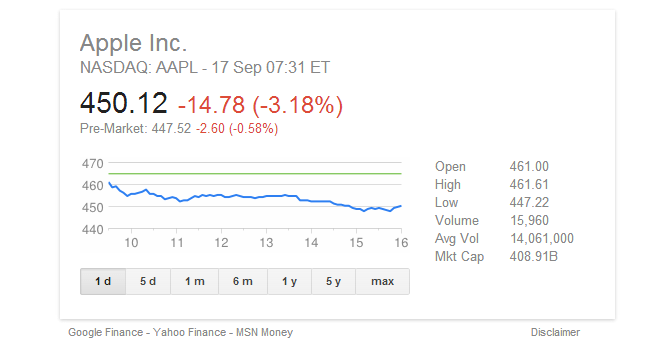 1 week one from the Apple keynote this is what’s happened to Apples stock price. I don’t get it.. How does a company release new products, well ok 1 do over and 1 improved model and the share price falls? 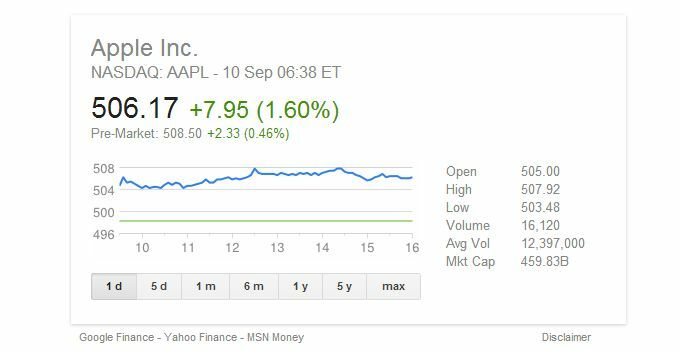 Before the keynote announcement stock price. After the keynote share value. Previous Previous post: TVCatchup adds catch-up TV for UK Tele. Goodbye YouView?